Made this for our Christmas dinner this year. I've never actually made Mac and Cheese from scratch and found this recipe to be easy and it tasted delicious. The only change I'll make when preparing this again is to leave off the breadcrumbs - I didn't think they offered to much to the dish and think it would taste fine without them. Preheat oven to 375 degrees. 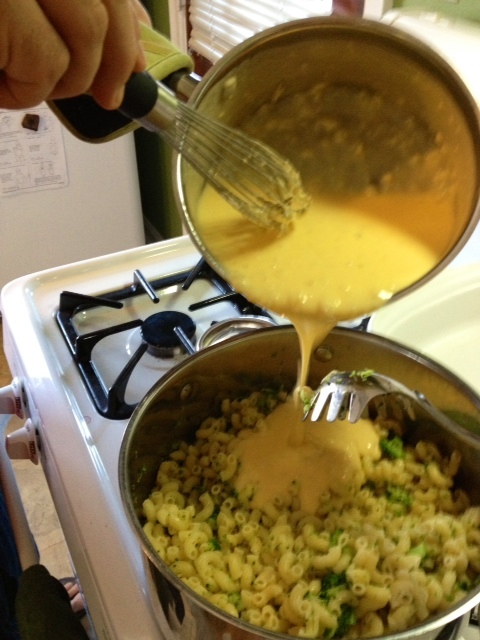 In large pot, boil water and cook pasta to instructions, but leaving pasta a little al dente. About 3 minutes before draining pasta, add broccoli to cook in water with pasta. Grease a large 9 x 12 baking dish. 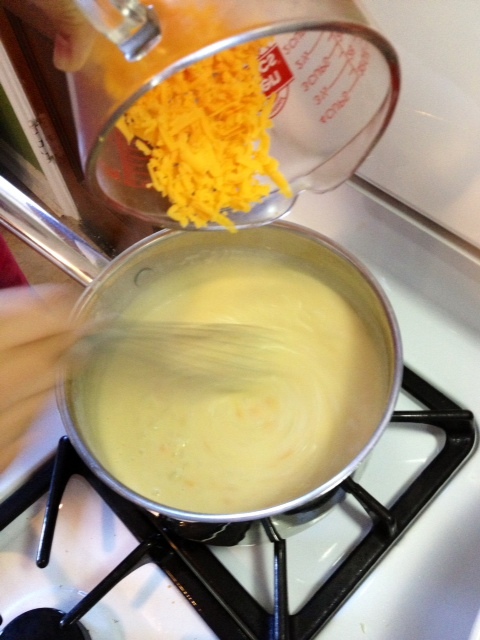 While pasta is cooking prepare the cheese and milk mixture. In large pot on medium heat, add butter and onion. Cook onions till soft, then add flour. Stir flour quickly to combine the flour and onion rue mixture. Add milk and chicken broth. Allow mixture to come to a boil and sauce will thicken. Remove from heat and add cheddar cheese and Parmesan cheese. 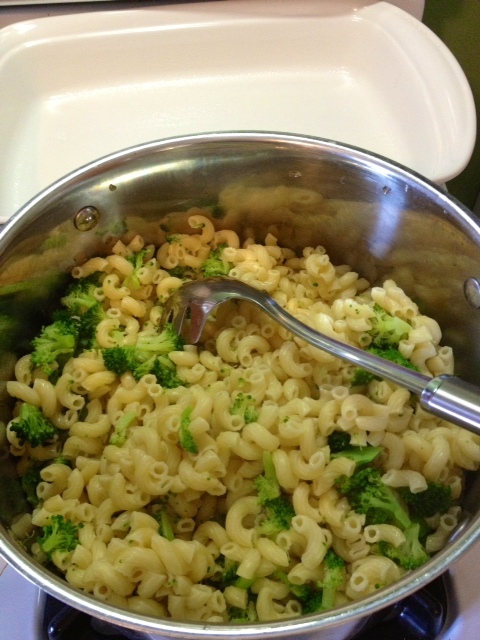 Drain your cooked pasta and broccoli and add to cheese mixture. Gently mix together and pour into baking dish. 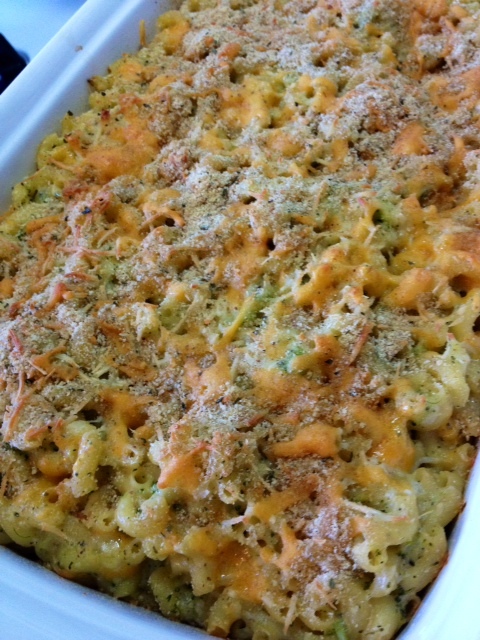 Add extra cheese and bread crumbs on top. Bake for about 20-25 minutes or until cheese is melted with a nice crust.